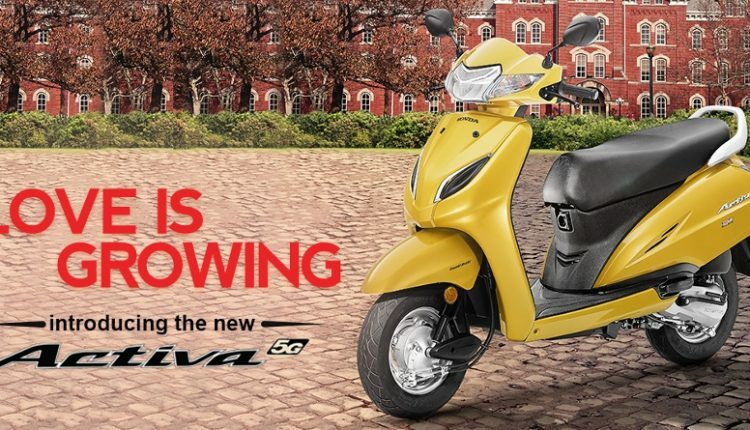 Honda Activa 5G has been officially launched at INR 52,460 (ex-showroom Delhi). 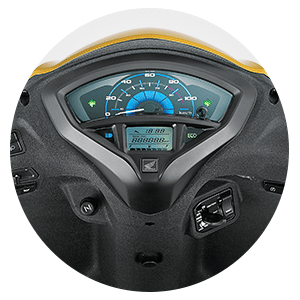 The base price is for STD variant while DLX costs INR 54,325. 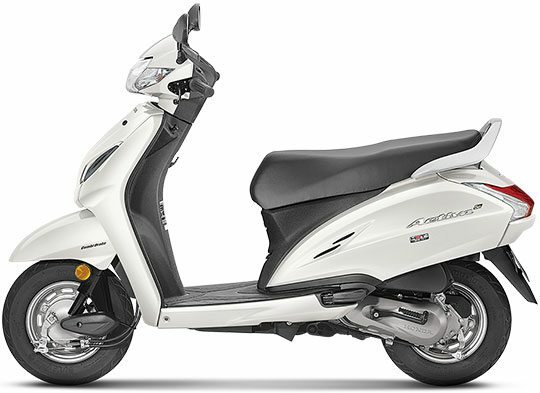 For first time in brand history, Honda has offered LED headlight on an Activa. This makes it more effective against rivals in low light riding conditions. Also, LED lights consume less power and thus, one gets better battery life with them. 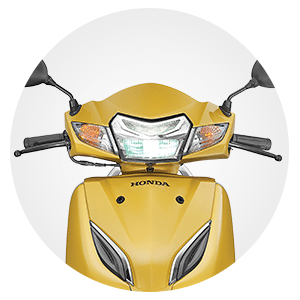 Honda has updated the front fascia with certain chrome additions and almost no other addition from last generation model can be detected here. 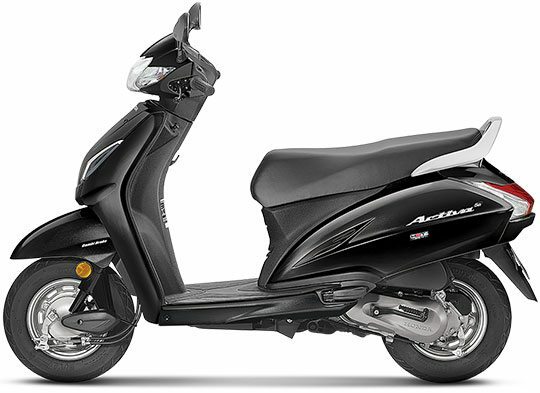 Honda Activa 5G measures 1761 mm in length and carries a wheelbase of 1238 mm. Seat height stays the same at 765 mm while wet weight for the fully loaded model is 109 kg. They have kept the fuel tank unchanged at 5.3 liters. 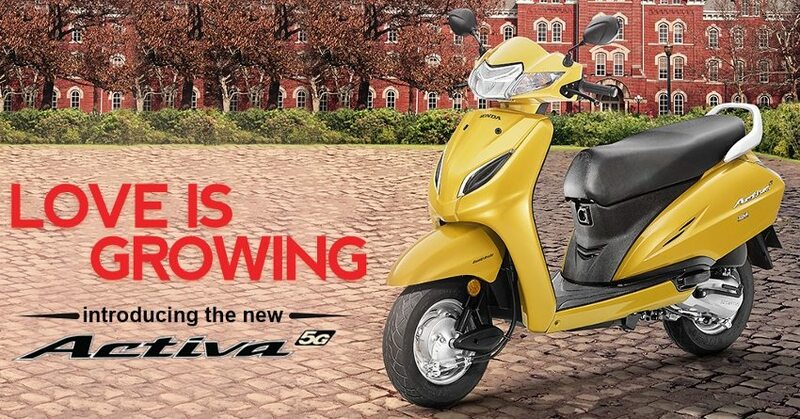 Activa keeps the iconic 109.19cc, single cylinder fan cooled engine producing 8 BHP at 7500 rpm and 9 Nm at 5500 rpm. The engine comes mated to an automatic gearbox. Tubeless tyres measuring 90/100-10 in size are used at both ends while CBS equipped 130mm drum units handle the braking duties on Honda Activa 5G. 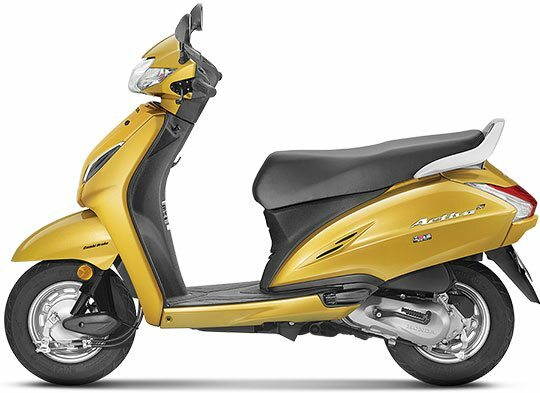 The model is India’s largest selling two wheeler and added features could even bring better numbers in coming months. Honda sells almost 2 lakh+ Activa variants every month while yearly total sales is mostly above 2.5 million units. All this is due to low maintenance cost and high mileage of their 110cc engine. Activa rivals TVS Jupiter and Hero Duet in its segment. When it comes to scooter sales, almost all scooters are offered with identical features and prices. Still, Activa is far ahead in number and buyers blindly trust the brand for unmatched quality and service. Activa 5G can be bought in Black, Dazzle Yellow Metallic, Majestic Brown Metallic, Matte Axis Grey Metallic, Pearl Amazing White, Matte Selene Silver Metallic, Pearl Spartan Red and Trance Blue Metallic.